The Ryman Auditorium is one of the most prominent and historically significant venues, located in the town of Nashville in Tennessee. The place was first opened for the audience in the year of 1892, being the ultimate dream of Captain Thomas G. Ryman. Raymon Auditorium had reached to the height of glory, with the arrival of the Grand Ole Opry show in the year of 1943; it was the time for it to get the identity as the Mother Church of Country Music. The Ryman Auditorium had seen a closure in the year of 1974, due to the relocation of Opry, to its current home at the Gaylord Opryland Resort and Convention Center; the movement had caused a great loss to Ryman. It had seen a closure for almost twenty decades, and it was reopened in 1994, after a great restoration and renovation, to reach up to the stature of a national showplace. Ryman Auditorium has an honor of hosting number of great performers and intellectuals like Enrico Caruso, John Philip Sousa, Charlie Chaplin and Sarah Bernhardt. The greatest achievement of the venue is the arrival of Grand Ole Opry, the attraction of it had let many great names, to perform at the stage of Ryman. Every visitor is advised to enjoy the great bluegrass shows, held in the summer. The Ryman shows go to packed theatre, so to avoid the parking problem; it is advisable to get there, with a margin of time, and to park at the Church Street parking garage less than two blocks away. It is one such place, where musicians like Roy Acuff, James Brown, Patsy Cline and Sheryl Crow have performed, providing the place of a great reputation. Ryman Auditorium has been such a magnificent place, as to be an ideal shooting spot for many of the great movies. There are such wonderful movies like Nashville; W.W. and the Dixie Dancekings; Coal Miner's Daughter; Honkytonk Man; and Sweet Dreams of 1985. The venue was also used in the 2006 film named Neil Young: Heart of Gold. If the television audiences remember the once famous The Johnny Cash Show, it was shot in our very own Ryman Auditorium. The show was really very popular and continued for two years on the ABC network from 1969 to 1971. The Ryman Auditorium had the honor of being named in the Pollstar Magazine's National Theatre of the Year for two consecutive years of 2003 and 2004, by winning over the other great venues like New York's Radio City Music Hall and Hollywood's Gibson Universal Amphitheater. It is really very interesting to mention here, that every dressing room behind the stage has been dedicated to the legendary performers like Johnny Cash and Minnie Pearl and others. The visitor tour has confirmed that the Ryman Auditorium has been ranked to be having a second best acoustics in the world. The Grand Ole Opry has the tradition of returning to the Ryman Auditorium on an annual basis for the shows from November through February. The average Ryman Auditorium Tickets price will cost you between $72 and $334, if you are looking for the cheapest seats then catch the event being held at the Ryman Auditorium, Nashville on 21/04/2019. The average ticket will cost you the highest on 03/09/2019 at the Ryman Auditorium, Nashville. Minimum get in price is for Ryman Auditorium Tickets is $19 for the event being held at the Ryman Auditorium, Nashville on 21/04/2019 , there are some venues that have a much higher get in price, for instance the cheapest seats at the Ryman Auditorium, Nashville on 29/07/2019 will set you back $47. I want to buy heart nashville tickets, but I do not want them delivered on my address, as I want the tickets for my son, who lives in a different state than mine. What should I do? I need 3 discount grand ole opry tickets, can you help? Sure! Please browse our inventory of Grand Ole Opry Tickets where tickets are being offered at discounted prices. Book them and contact our livehelp representative if your require any assistance! I have some questions about map of ryman auditorium seating. Who can i contact? You can contact our agents on our toll free number for your required details about the seating. You can also look through the page of Ryman Auditorium Tickets for seating details. Before i order the tickets, can you please send me the ryman seating chart via email? We cannot send you the seating chart over email. Please visit our Ryman Auditorium Tickets page and there you will find the option of viewing the seating chart of the venue. I want to buy cheap needtobreathe tickets at the ryman. Do you have them? Yes, we do have Ryman Auditorium Tickets available at cheap prices on our website. You can look through our page for details and order your tickets right away! I want some ryman auditorium patsy cline tickets. Do you sell cheap tickets? Sure we do. 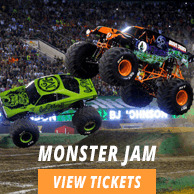 Our whole inventory is filled with cheap tickets to different events. Just browse thorough it and select your cheap Ryman Auditorium tickets! I want to buy edward sharpe may 4 cheap tickets. Do you have them? Yes, we do have cheap priced Ryman Auditorium Tickets available on our website. Look through our page for details and order your tickets right away! Can i buy cheap tickets to ryman from your website? Yes, you can buy cheap priced Ryman Auditorium Tickets from our website. Look through our page for details and order your tickets from there. Is there a way to win needtobreathe tickets nashville here? We do not have such offers for Ryman Auditorium tickets at the moment but our tickets are available at affordable price, check the now! Can i get cheaptickets rhyman tickets from you? We don't promise cheapest Ryman Auditorium Tickets but are offering them on reasonable rates. Check the details and order right away. I am a retired army man and so would like to buy grand ole opry discount tickets. Can you help? We at ticketluck are running a special this month so you could get discount on any event tickets including Grand Ole Opry. Before i order the tickets, how can i look at the ryman auditorium seating chart? Please visit our Ryman Auditorium Tickets page and there you will find the option of viewing the seating map of the venue. Can I view the ryman auditorium seating chart nashville before I buy my tickets? The entire seating chart is available on our website. Please go through it before buying your Ryman Auditorium Tickets. Have all the discounted ryman auditorium tickets sold out? No, we still have some Ryman Auditorium Tickets available with us. Check out and order them right on! Are amos lee tickets at the ryman in nashville refundable? Ryman Auditorium Tickets are not refundable. The sales happen to be final with to exchanges. Hello, I would like to book 2 ryman tickets. are they available? Certainly. Please browse through our inventory to get cheap Ryman Auditorium tickets. Have you got any sheryl crow tickets ryman? You can pick your desired Ryman Auditorium tickets from our offered list.